This entry was posted on February 4, 2011 by ScanTool.net Team. There are several ways to determine which communications port (COM 1, COM 2, etc) your OBDLink™ uses when connecting to your PC. 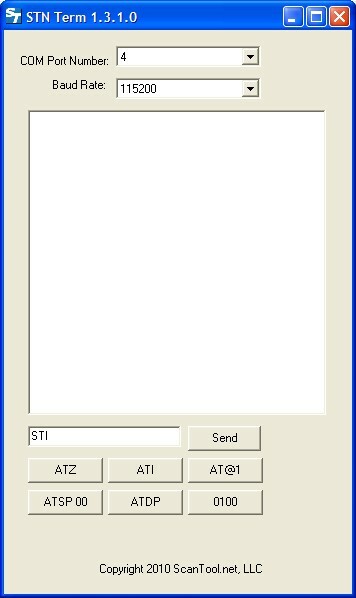 The quickest is to download the STN Finder Utility here. Plug your OBDLink into a USB port, then run STN Finder. 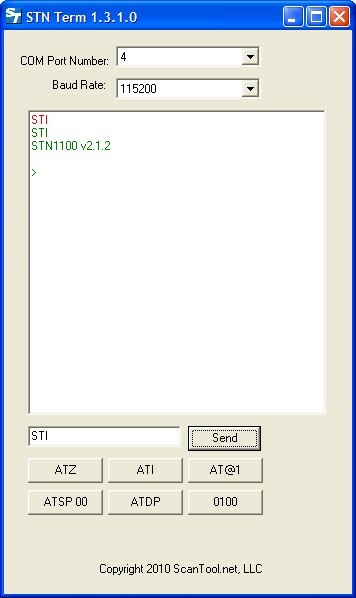 STN Finder will automatically detect what COM port your OBDLink is connected to, and the transmission (baud) speed. 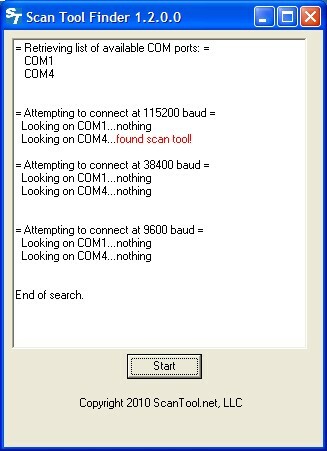 In this instance, the OBDLink was found on COM 4 running at 115200 baud. We will use this information in the STN Term software to determine your firmware version. STN Term can be downloaded here. In this case, the firmware version is 2.1.2.